You are invited to our latest networking event at Hotel VIA BAR, one of the most exciting venues in San Francisco on Thursday, May 9, 2019 from 6pm-8pm at Hotel VIA’s Bar (https://www.hotelviasf.com/rooftop) located at 136 King St, San Francisco CA, 94107. There is no limit to growing your connection at Bar VIA. 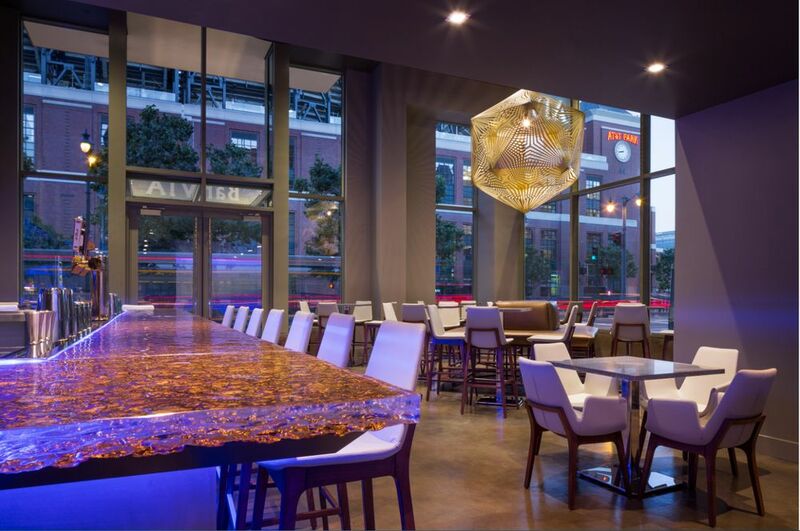 Located next to the Oracle ballpark (previously AT&T park), access the the bar on King Street. Interested in meeting C level professionals, executives from startups, tech companies, law firms, and many other industries? Come to the beautiful Hotel VIA’s Downstairs Bar and be ready to build relationships, expand your network, and have a great time! This is a great opportunity to find new connections and meet new people in general. If you haven’t seen the Bar VIA yet, this evening will give you the exclusive opportunity to see the city from a new perspective. Bar VIA’schic and comfortable design features club and view seating, delicious cocktails and fine dining. When is the last time you updated your bar program? Check out Hotel VIA bar and get some inspiration. Talk with our restaurant consultant and see how a bar program can boost your restaurant revenue. Do you have a restaurant business? Check out how we might be able to grow your business.